The Southern Illinois University Edwardsville Residential ID Camp is inviting 5th to 12th-grade male soccer players. It is a 4-day camp where players afterward receive a thorough evaluation of their performance. It is set on July 10 until July 13, . Dorm check-in will be on July 10, 12:00 PM to 2:00 PM. The camp is ideal for players who desires to play at the collegiate level. Field players and goalkeepers alike will have the opportunity to train and play like the Southern Illinois University Edwardsville men’s soccer team. It will be an appropriately competitive and fun training environment. Attendees will receive a free Adidas camp t-shirt and a free SIUE camp ball. Southern Illinois University Edwardsville is a public coeducational university. It is a member of the Southern Illinois University System. The university is 63rd in the Regional Universities Midwest, edition of Best Colleges ranking. Also, it is 248th in the Business Programs rankings. Currently, it accommodates around 14,200 undergraduate and graduate students. The university sponsor 14 intercollegiate varsity teams. They call themselves the Cougars. They are participating in the Ohio Valley Conference of NCAA Division 1. The university’s official colors are red and white. 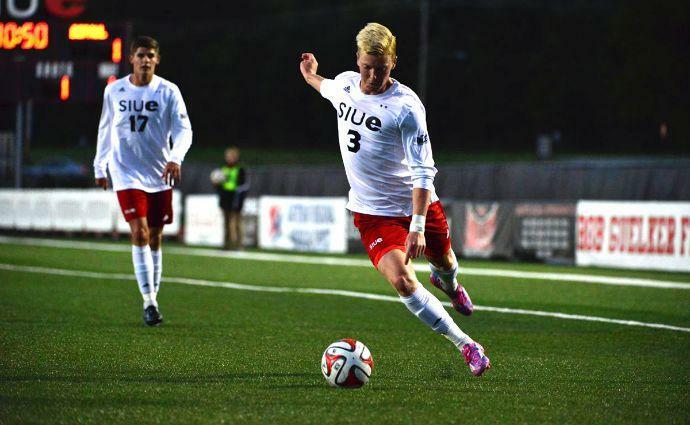 The Cougars men’s soccer team have already 23 NCAA Tournament appearances since 1969. They are the 1972 and 1979 National Champions. They are also the 2015 MVC Regular Season Champions. And, the 2016 MVC Conference Tournament Champions. The team’s head coach is Mario Sanchez. He is the team’s head coach since January 2015. He and his staff are the 2015 MVC Coaching Staff of the Year. Coach Sanchez has also 5 consecutive NCAA tournament appearances during his coaching stint in Louisville. In addition, he is also a member of the United States Soccer Federation (USSF). The Cougars men’s soccer assistant coaches are Jeremy Proud and Scott Gyllenborg. Then, Billy Berger is the team’s Director of Operations. The graduate assistant is Mark Weigand. Finally, the team’s athletic trainer is James Mays. The Southern Illinois University Edwardsville Residential ID Camp is an opportunity to train and play like the university's varsity soccer team.